October 6th 2019 Something New! November 3rd 2019 Be Organ-ised! 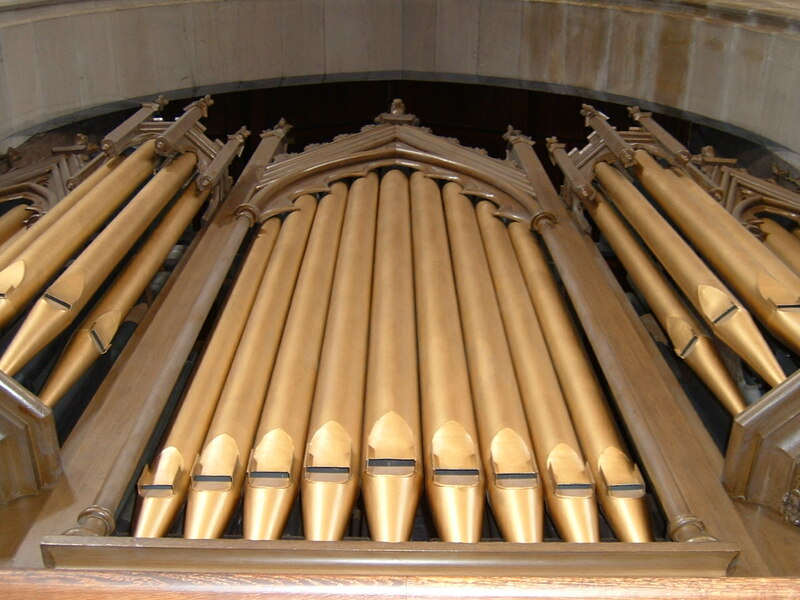 Sunday Afternoon Organ Music™ takes place on the first Sunday of every month at 3.00pm and lasts for around 45 minutes. Admission to the recitals is free. A retiring collection is taken to defray printing costs and to assist in funding the care and maintenance of the instrument. 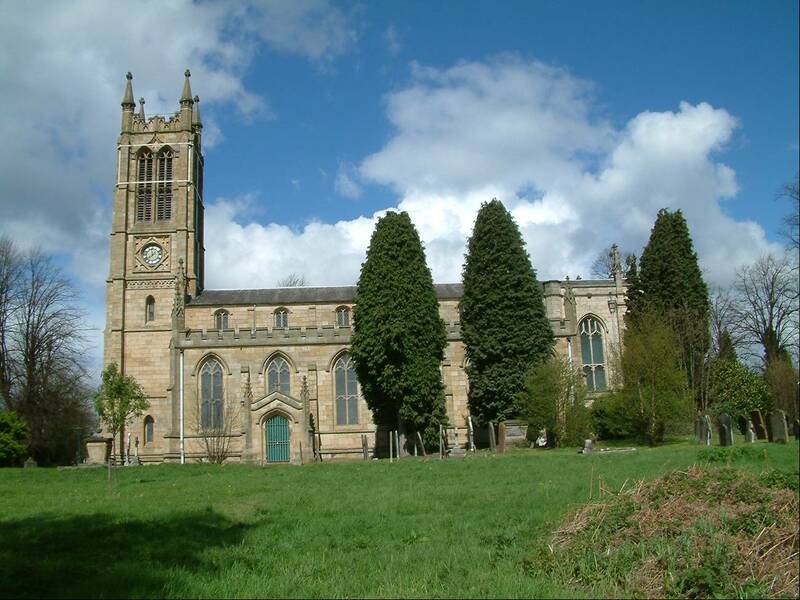 Holy Trinity Parish Church is situated in Stourbridge’s historic Glass Quarter. It lies the A491 which runs between Stourbridge and Kingswinford. The nearest railway station is Stourbridge Town 2.5 miles away. Free car parking is available behind the church hall and in front of the church gates. 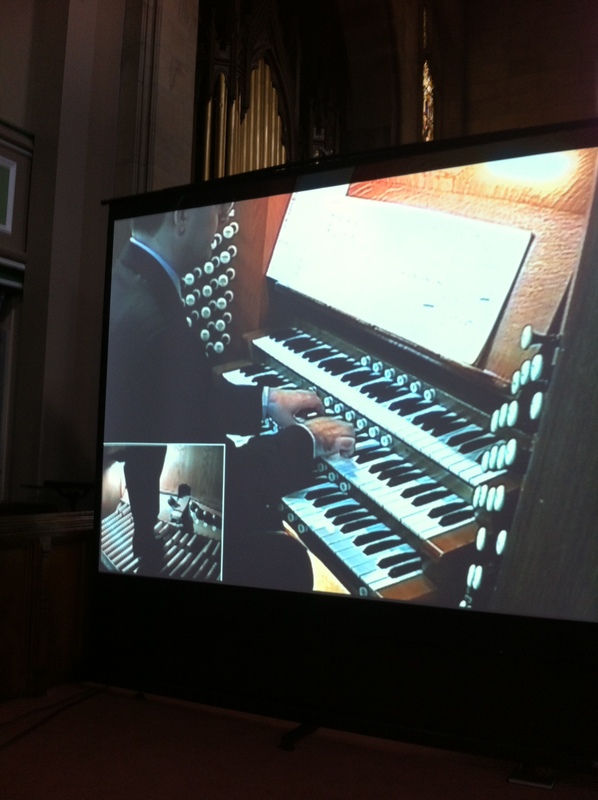 A view of the organ console, with additional pedal-camera, is projected onto a large screen at the front of the church, giving excellent views of the performer. 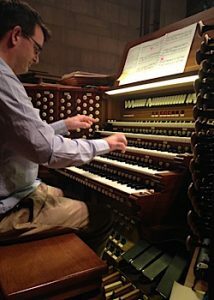 Programmes are an eclectic mix of individual organ pieces, movements from larger scale works and transcriptions of works written for other instruments or ensembles. Sunday 5th July 2015 at 3:00pm Magdeburg Preview! Sunday 5th October 2014 at 3:00pm Something Old with Something New! Sunday 7th September 2014 at 3:00pm Pomp and Circumstance! 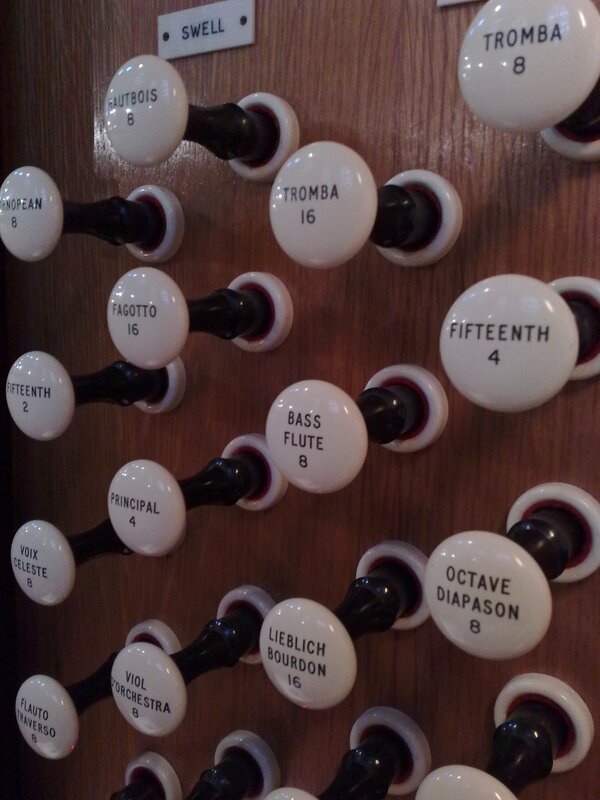 Sunday 6th July 2014 at 3.00pm Handel with Care! Sunday 2nd March 2014 at 3.00pm Russian Roulette! Sunday 2nd February 2014 at 3.00pm Dance then! Sunday 4th August 2013 at 3.00pm: Encore! 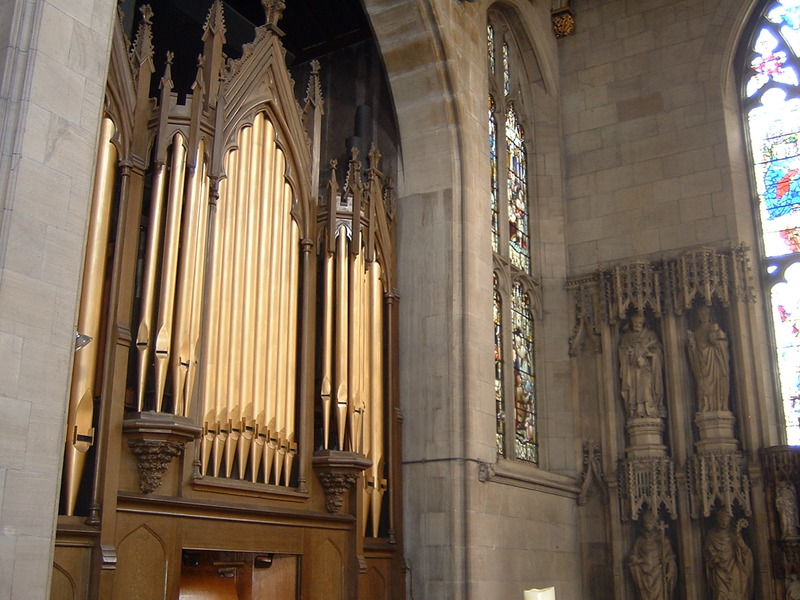 Sunday 7th October 2012 at 3.00pm Be Organ-ised! Sunday 7th August 2011 at 3.00pm Encore! Pistons: 6 general, 6 Swell, 6 Great, 6 Pedal (toe), 6 Positif. 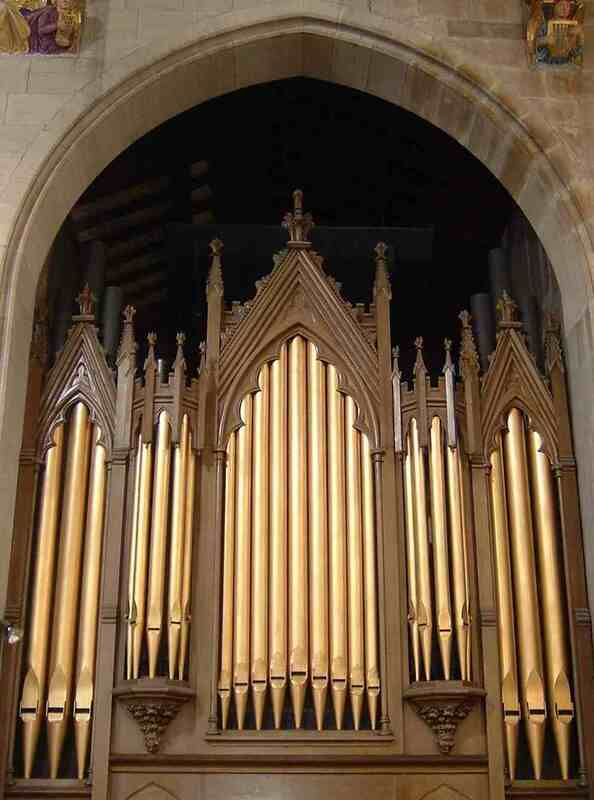 Holy Trinity Wordsley in the National Pipe Organ Register.